This webinar is postponed until later in spring 2019. Check back for a new date for this webinar. 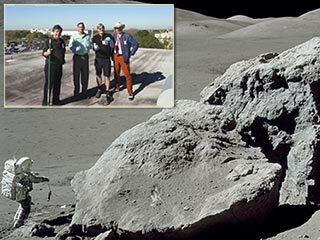 Join the NASA Night Sky Network this spring to hear Brian Day from NASA's Ames Research Center give us an inside look at lunar landing sites past and future, what we learned and hope to learn. As we approach the 50th anniversary of the first human landing on the Moon, we'll take a look back at each of the Apollo landing sites and discuss why each site was chosen and what made each site so interesting. We'll then recap some of the fascinating things we've learned from robotic lunar missions that followed Apollo. Finally, we'll look ahead to some of the amazing sites we are considering for future missions to the Moon. We'll make use of NASA's Moon Trek portal (https://trek.nasa.gov/moon/) to conduct our exploration. Brian Day currently serves as the Lead for Lunar and Planetary Mapping and Modeling at NASA's Solar System Exploration Research Virtual Institute (SSERVI). In this role he oversees the development of the Solar System Treks (https://trek.nasa.gov), a suite of online tools facilitating data visualization and analysis for mission planning, planetary science, and public outreach. From 2010-2014, Brian served as the Education/Public Outreach Lead for NASA’s Lunar Atmosphere and Dust Environment Explorer (LADEE) mission to the Moon, which flew through and studied the Moon’s tenuous atmosphere. 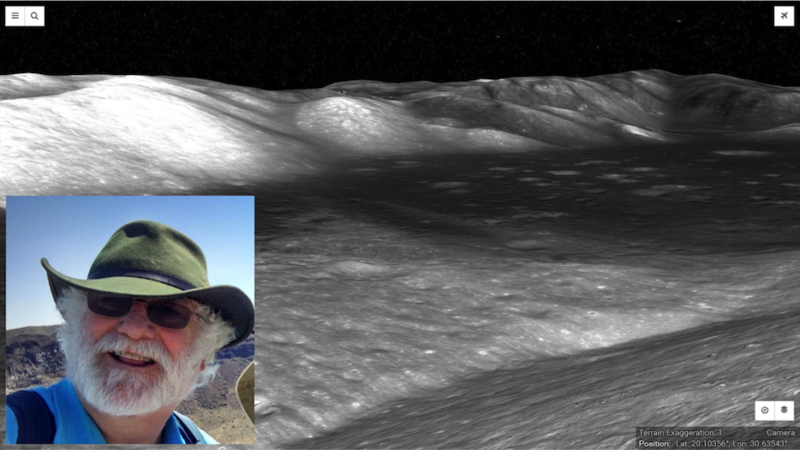 From 2007-2010 he served as the E/PO Lead for NASA’s LCROSS lunar impactor mission which discovered deposits of water ice at the Moon’s South Pole. Brian has played key roles in various NASA Mars Analog Field Studies, providing technical support in the field for webcasts and robotic rover tests in extreme environments here on Earth. In 2007, he flew on the Aurigid-MAC mission to record fragments of comet Kiess entering Earth’s upper atmosphere. The NASA Night Sky Network welcomed Dr. Michael Zolensky from NASA's Johnson Space Center to its monthly webinar series on Tuesday, March 26, 2019. Dr. Zolensky discussed NASA’s Astromaterials Collections which range from Apollo Moon rocks, to Antarctic Meteorites, to samples from a comet and more! Their curation facilities, located at the NASA Johnson Space Center, house NASA's past - and future - extraterrestrial samples. All past webinars are also available on the NSN YouTube page.